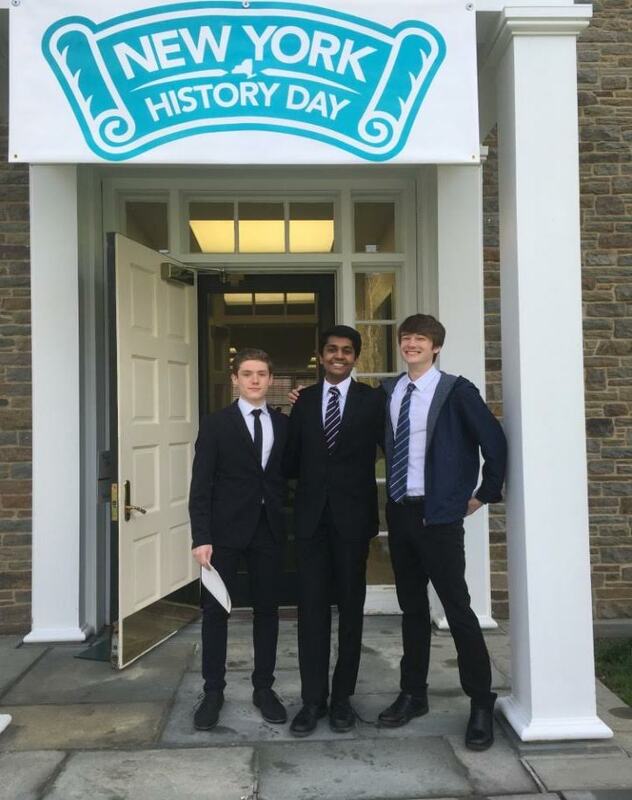 On Monday, April 24, 2017, TZHS juniors Ruben Sriskanda, Jake Laddis, and Eli Gordon participated in the New York State History Day Competition in Cooperstown. Their website entitled “The Unlikely Community” about the gay rights movement of the mid-to-late twentieth century took second place from amongst two dozen other projects in the group website category. History Honor Society faculty advisor Matthew Robertson said, “These students dedicated so much time and effort in to creating such an incredible and timely project that the result is well-deserved. The importance of proper research skills and the ability to express what you’ve learned in a creative manner is essential to foster in students as we march further in to the twenty-first century,” Robertson concluded.